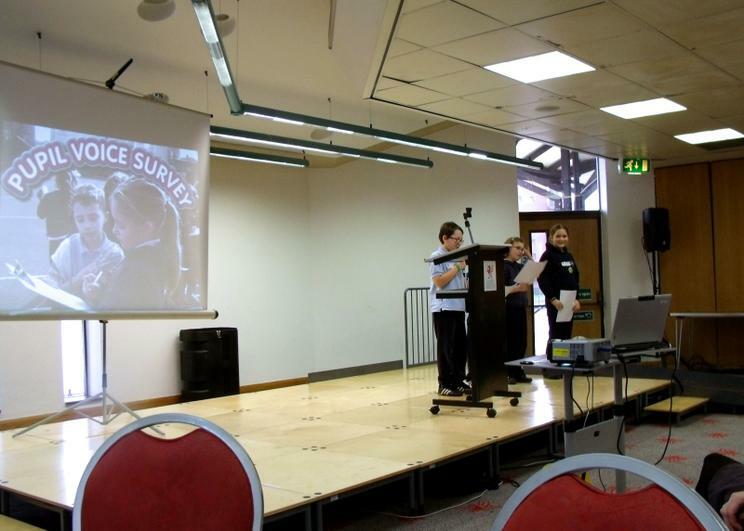 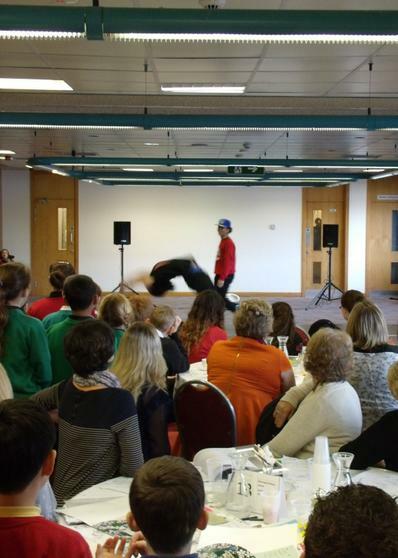 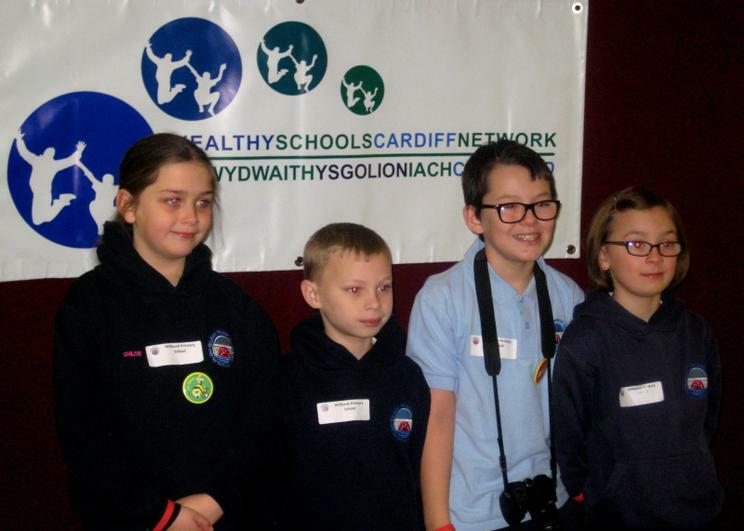 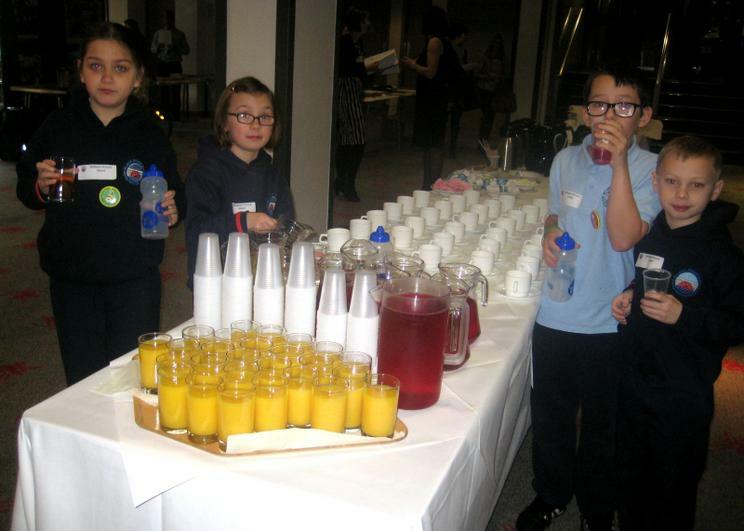 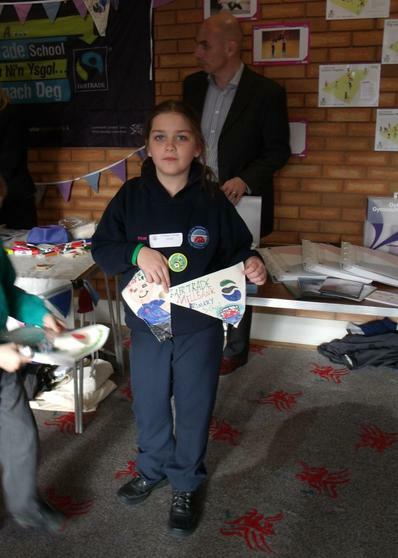 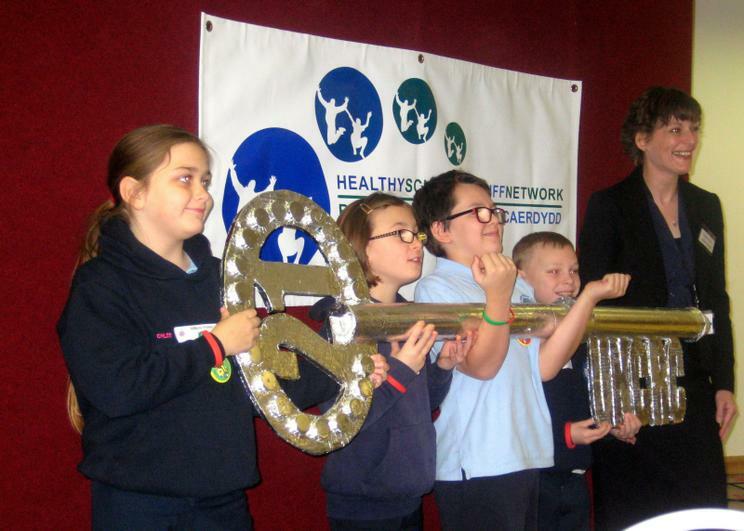 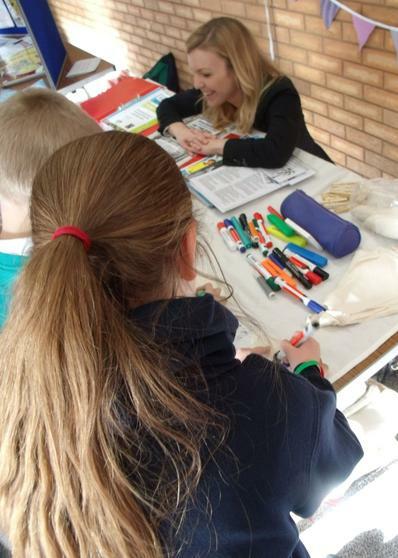 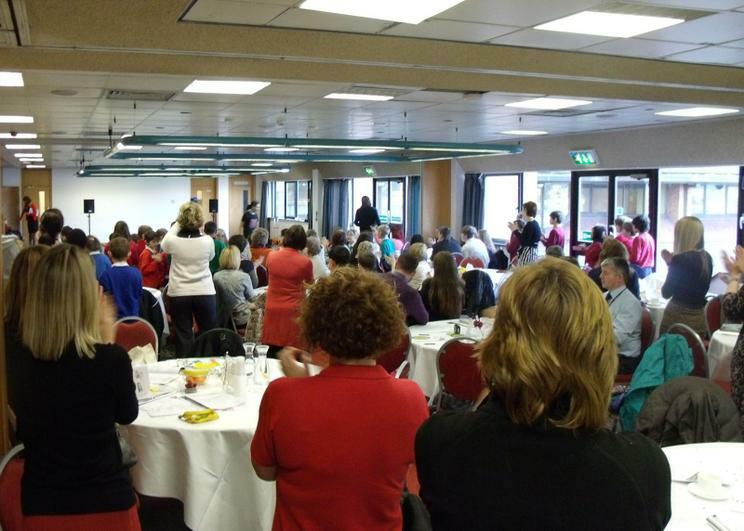 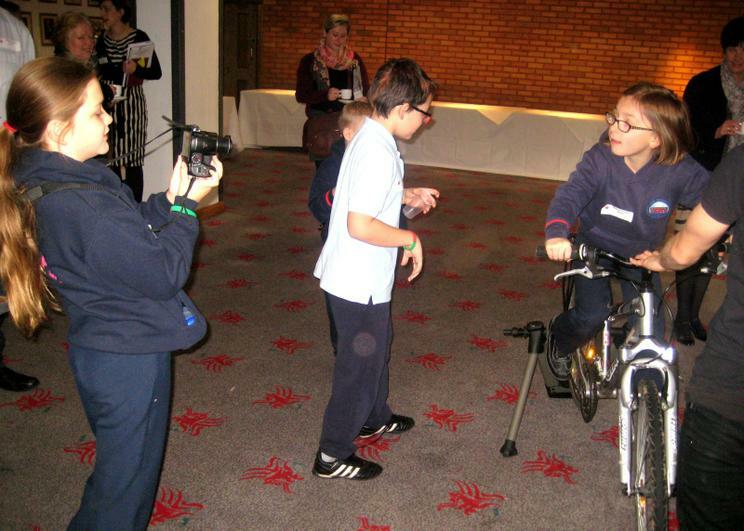 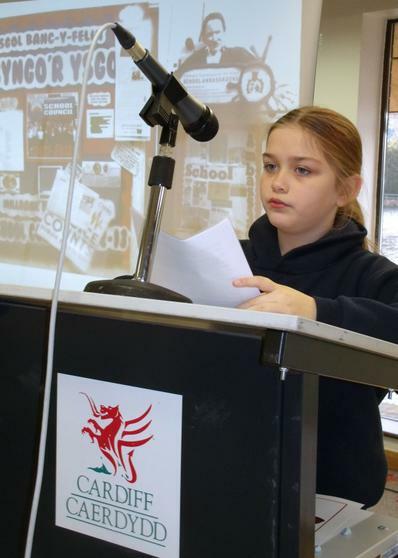 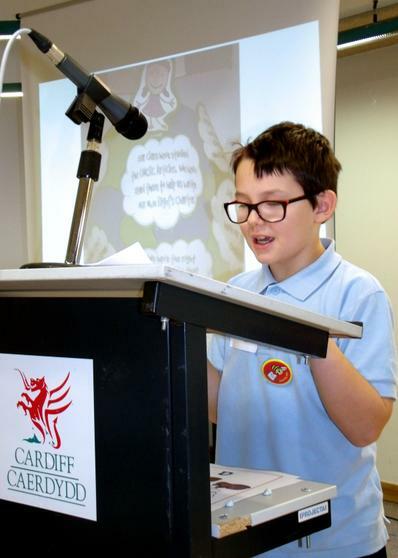 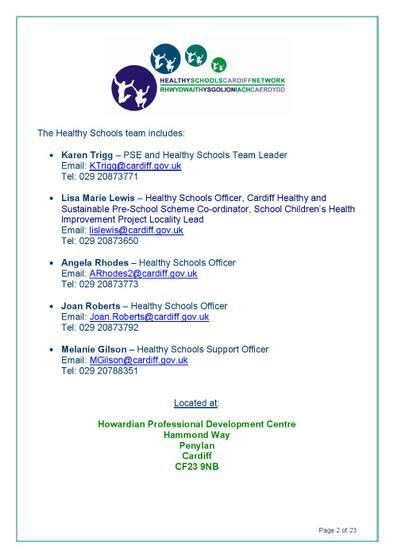 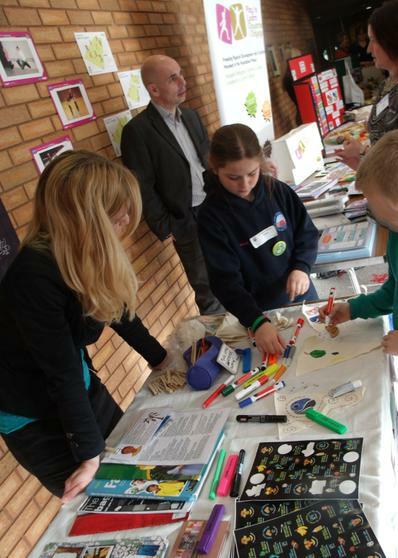 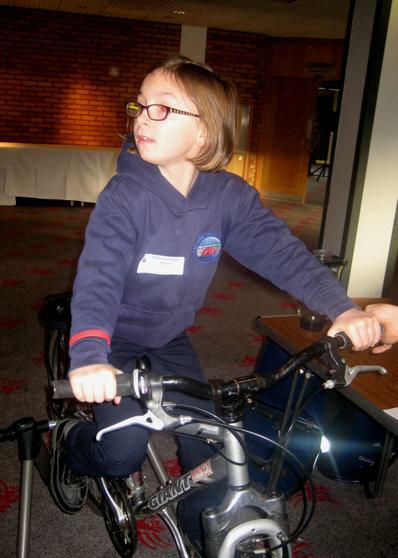 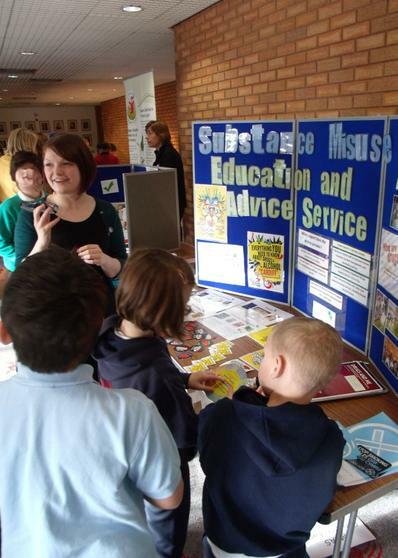 On 30th Jan the Cardiff Network of Healthy Schools held a 'Celebrate success' event at County Hall for schools to share good ideas on of health and wellbeing. 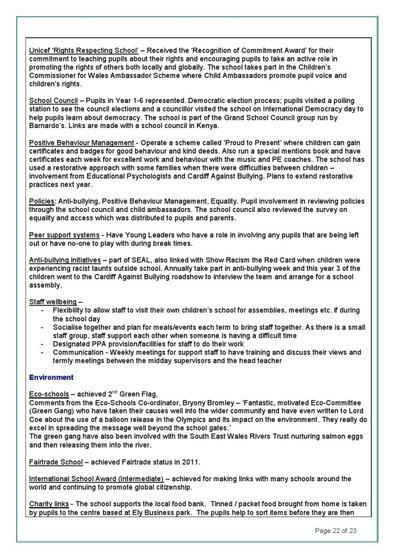 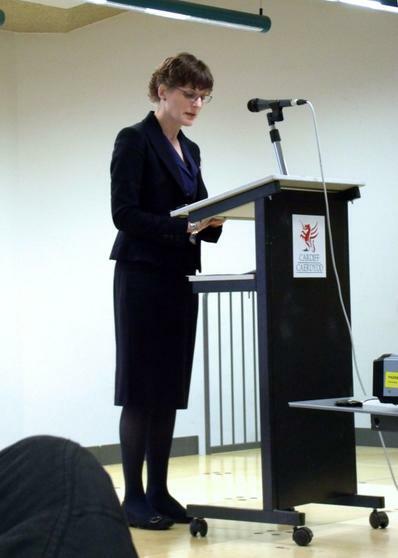 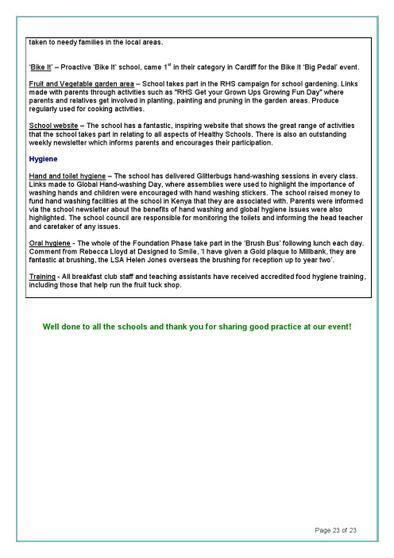 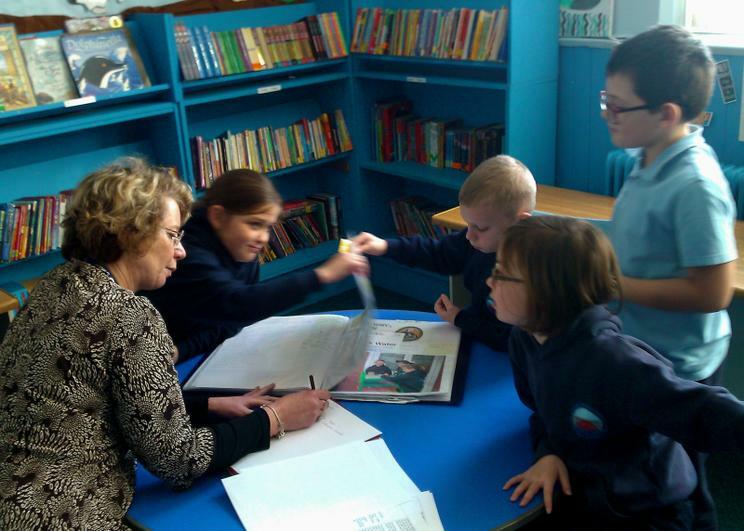 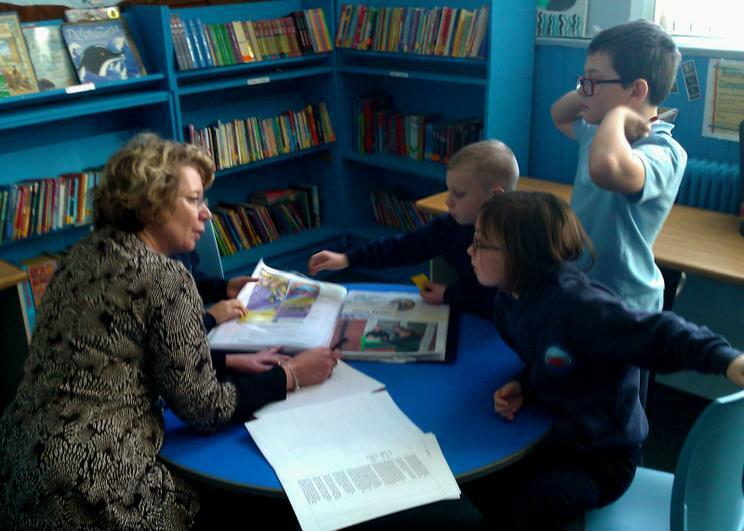 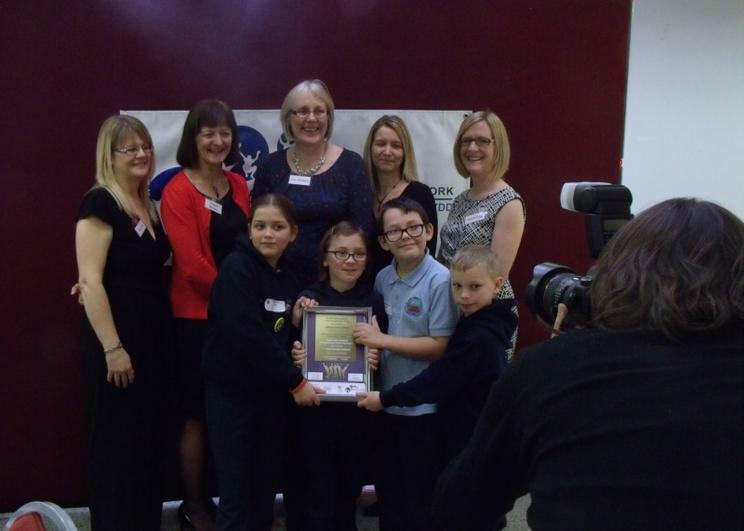 In addition schools were given an award for outstanding practice in one of the key areas. 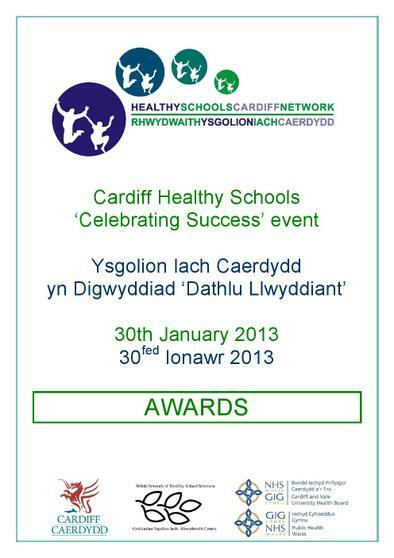 We were thrilled that we had been recognised in 3 areas. 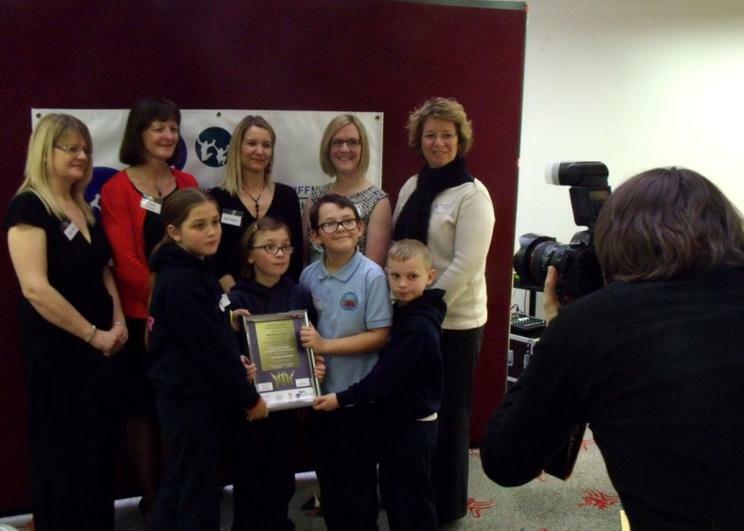 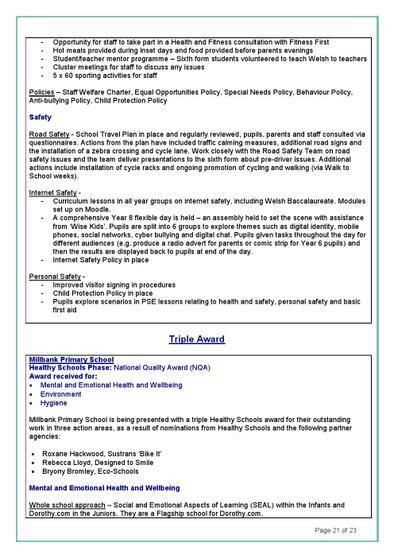 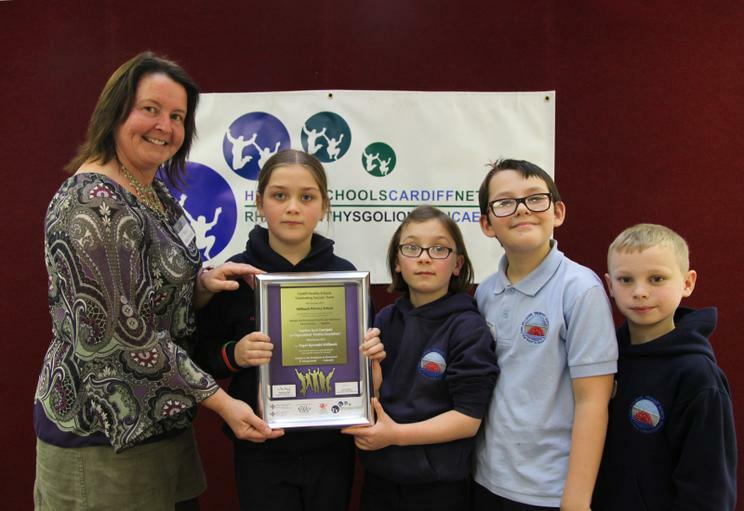 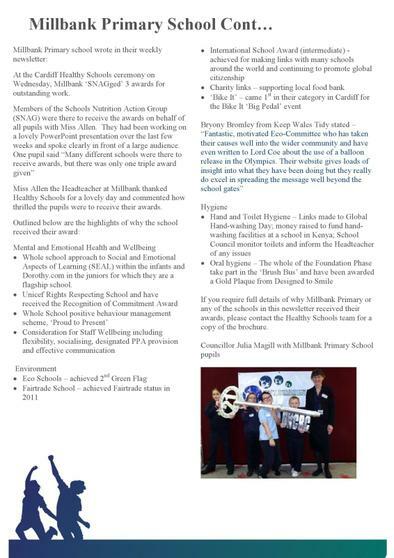 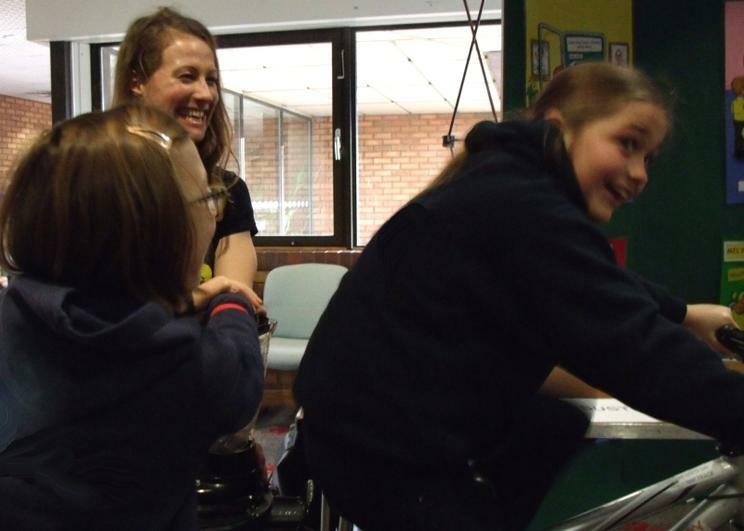 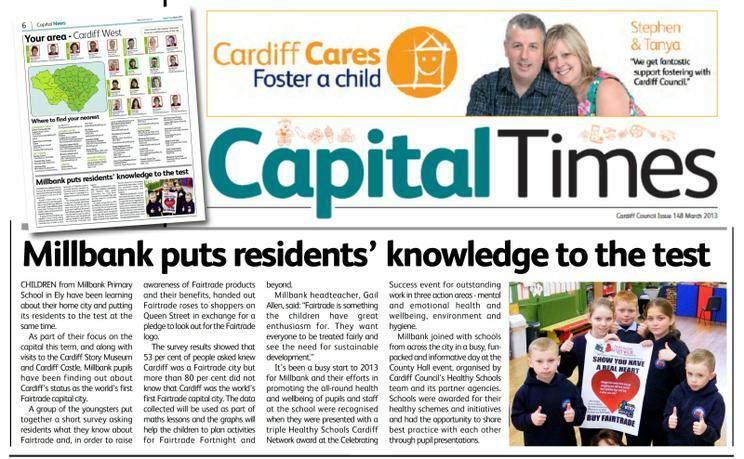 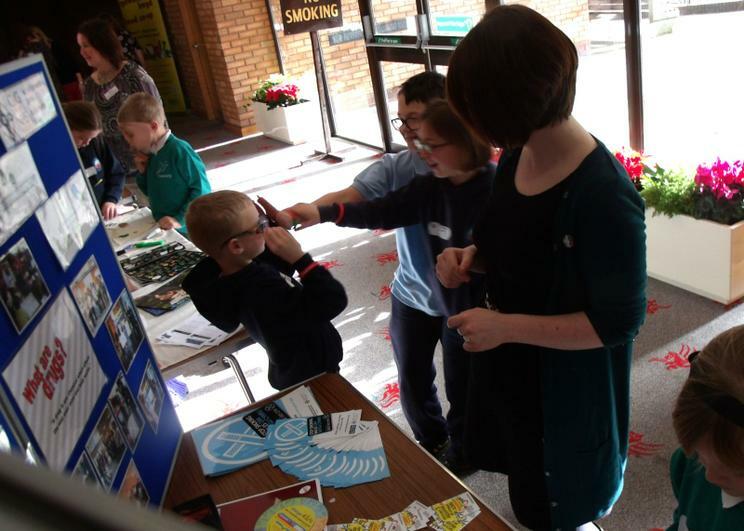 Millbank had been nominated by Sustrans, Cardiff Road Safety, Designed to Smile, Fairtrade Wales and Eco schools. 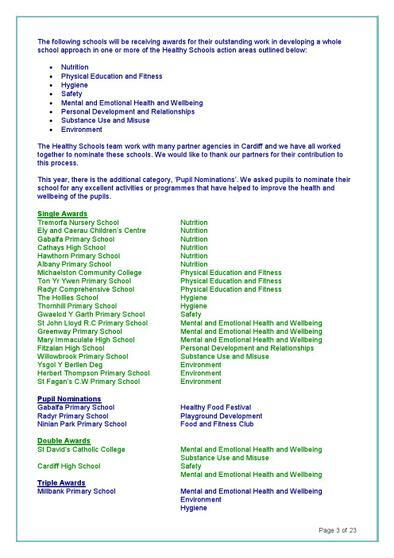 The fact that our work had been recognised by so many different agencies was fantastic in itself. 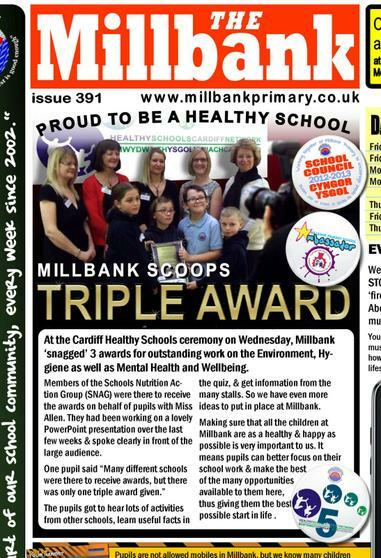 Some of the school council went to to give a small presentation on Healthy Schools & receive the Triple award on behalf of all of Millbank. 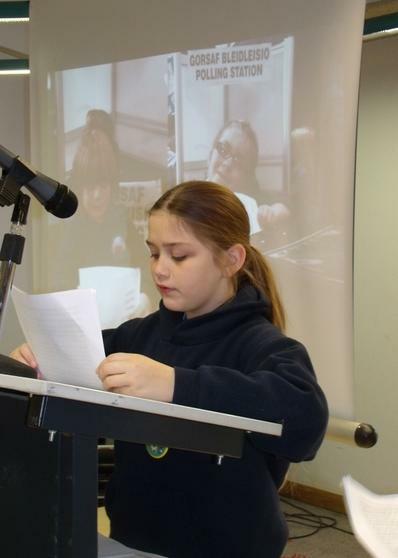 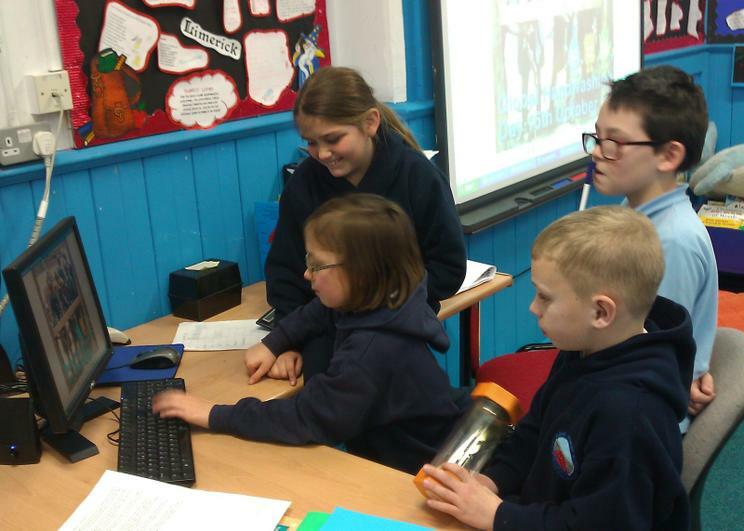 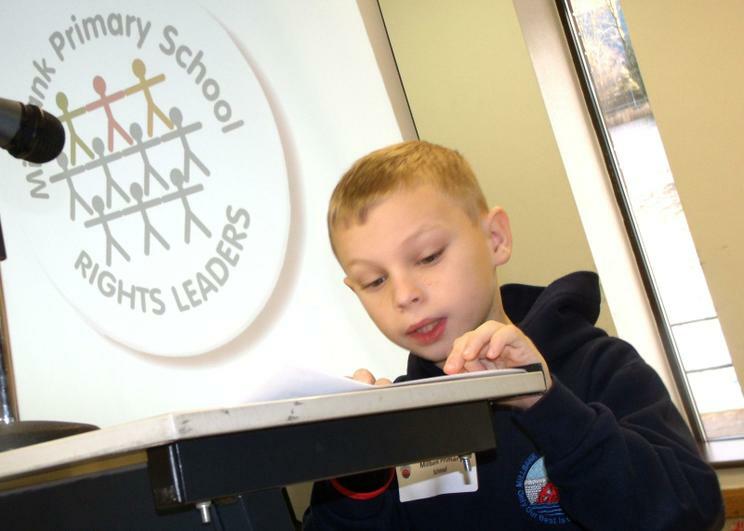 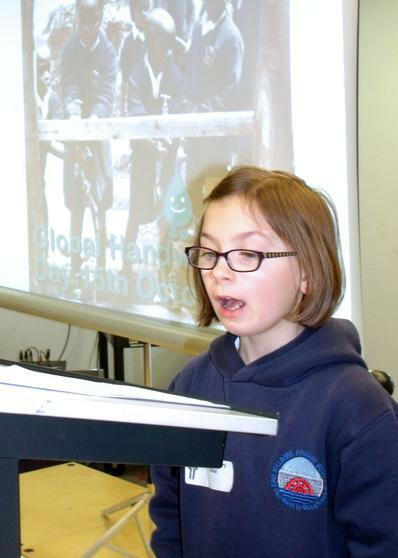 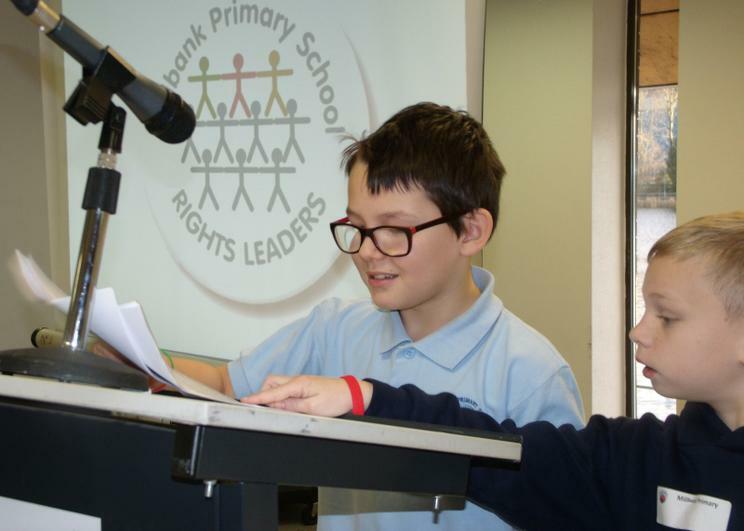 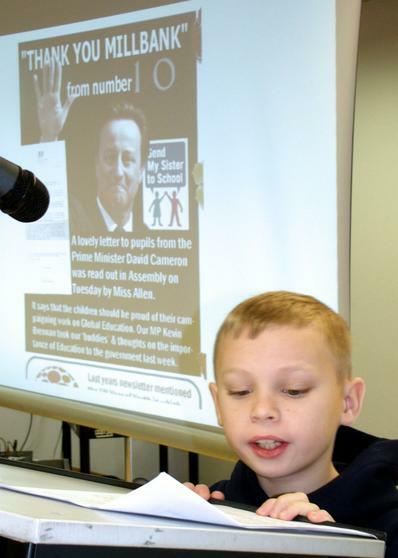 They had been working hard on their PowerPoint presentation and there were some lovely clear confident voices on the day in front of a large audience. 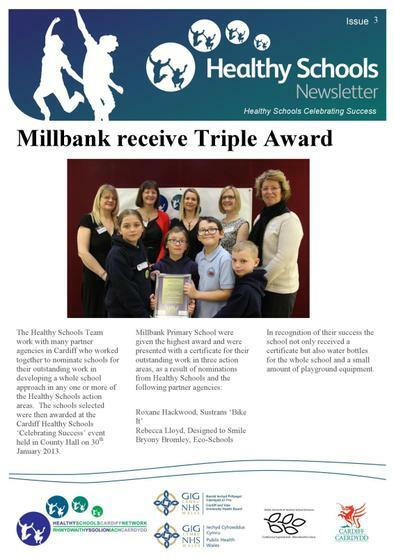 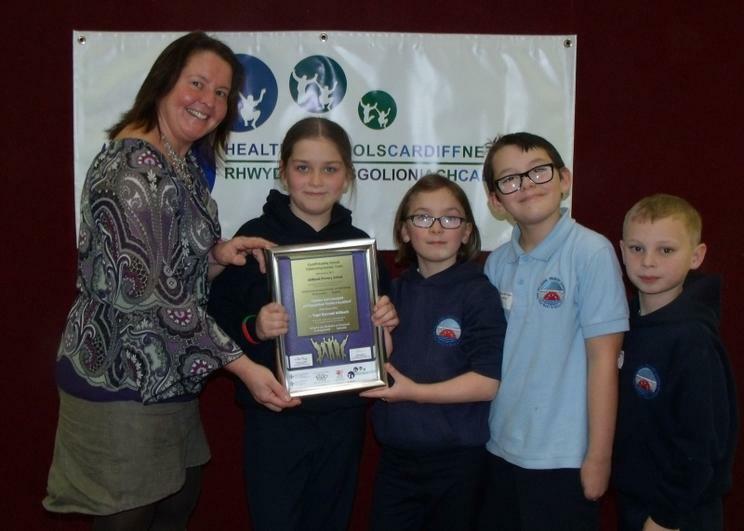 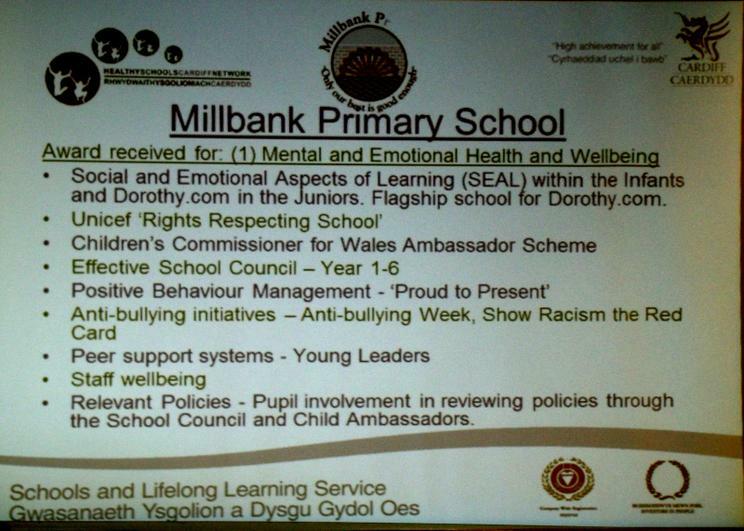 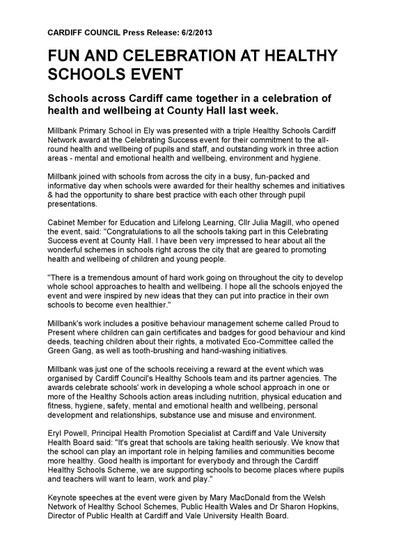 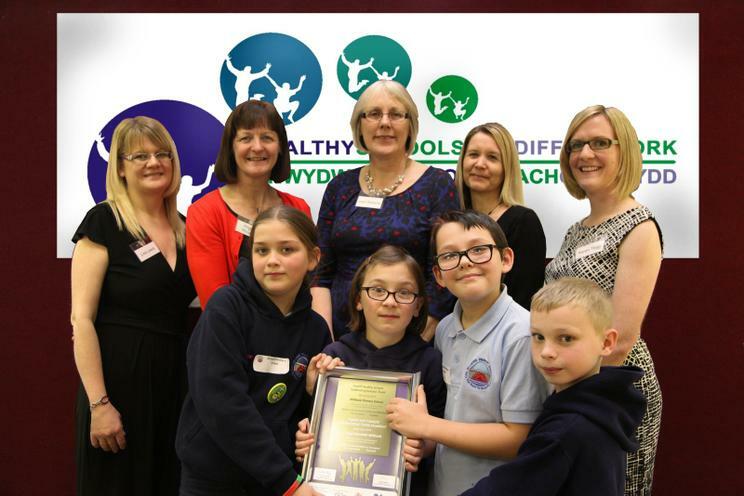 Millbank was of course just one of the schools receiving a reward at the event "which was organised by Cardiff Council's Healthy Schools team and its partner agencies. 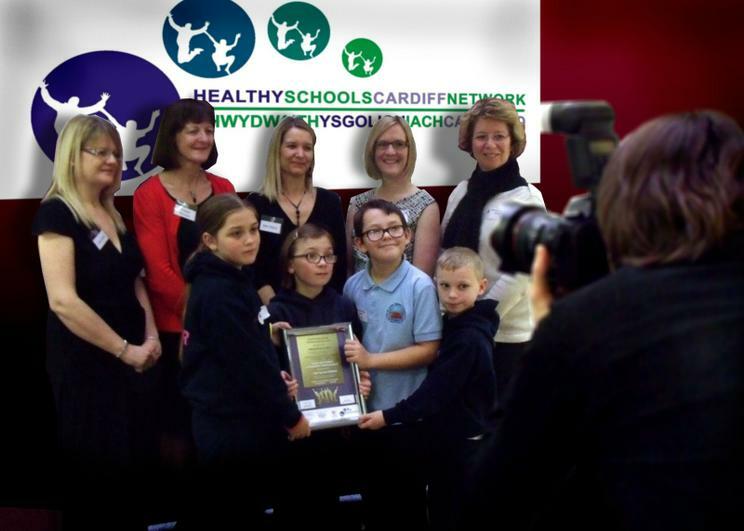 The awards celebrate schools' work in developing a whole school approach in one or more of the Healthy Schools action areas including nutrition, physical education and fitness, hygiene, safety, mental and emotional health and wellbeing, personal development and relationships, substance use and misuse and environment." 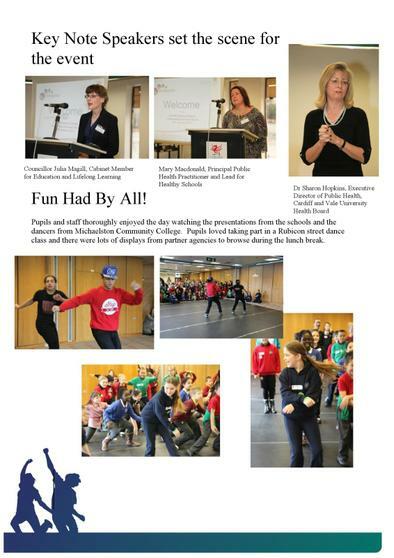 We enjoyed seeing two of our former pupils who are part of the Jukebox Juniors dance group, give a demonstration of dancing.